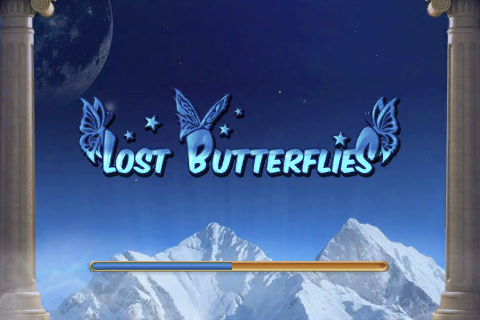 Lost Butterflies ($1.99) by Exit Studios is a puzzle game where butterflies of varying colors have to be matched up to remove them from the board. 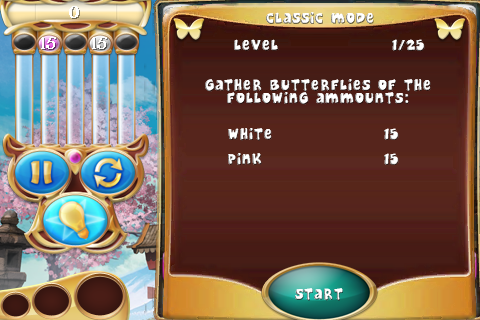 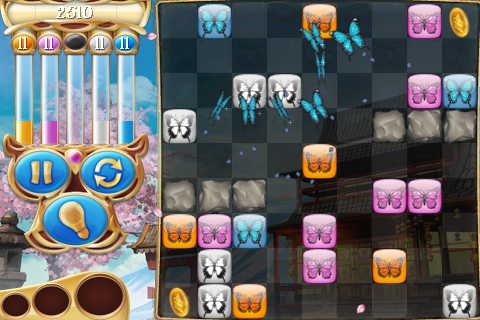 There are five different colors of butterflies available, each encased in a gem of the same color, although not all five colors are used every game. 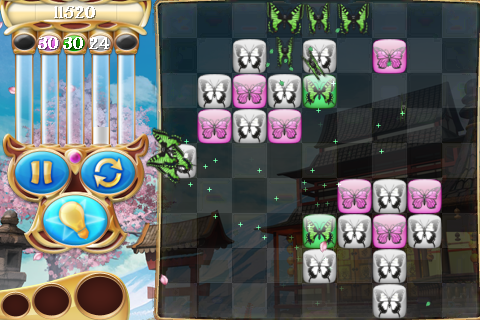 You are told how many of each of the available colors you must remove from the board. 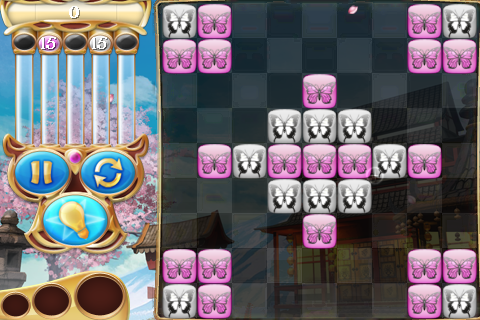 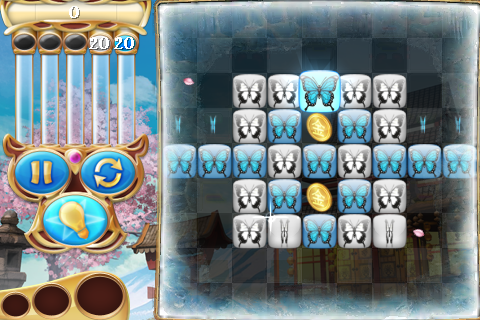 By placing four or move pieces of the same color next to each other, you can remove gems from the board and deduct them from your quota. 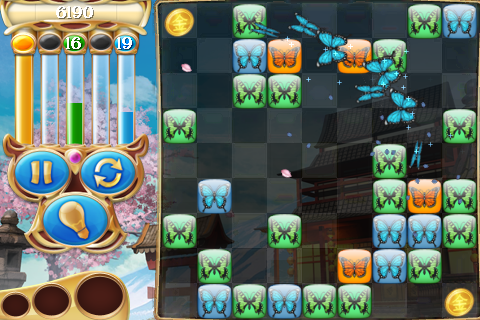 As gems are matched and destroyed, the butterflies inside are released and fly off to their respective pipes on the top left to be counted. 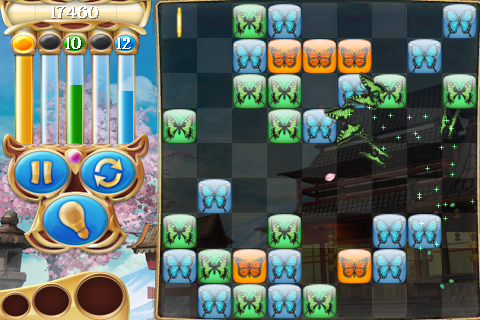 Pieces can move as many squares at once as you wish in each move, but they can�t move through each other or though obstacles such as rocks. 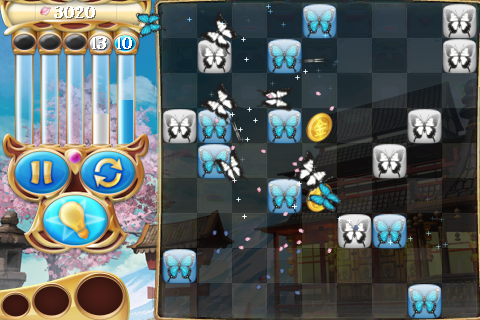 After your first few moves, additional gems are created. 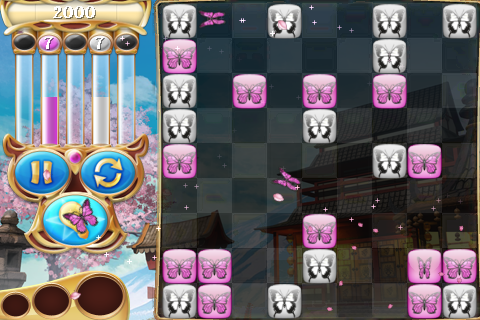 If you take too long in clearing the board, you will eventually have so many gems as to not be able to make any additional moves. 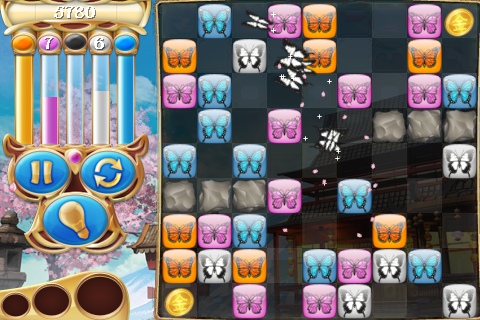 As levels become more difficult, you are also given power-ups such as a bomb or hammer to help clear the board of those tricky spots. 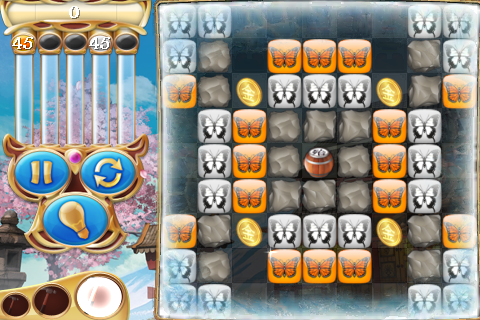 You are also given tips for where to move gems which can be turned off at any time using the light bulb button on the left. 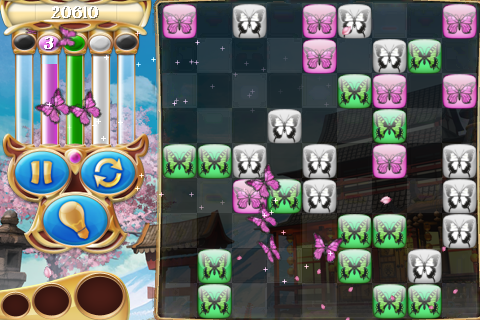 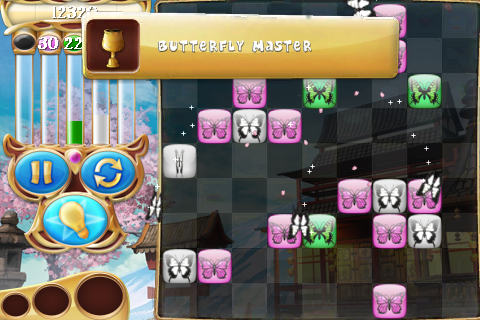 Lost Butterflies is quite a nice change from the usual matching puzzle with light airy effects, a rapid learning curve and challenging gameplay over the course of 100 levels.